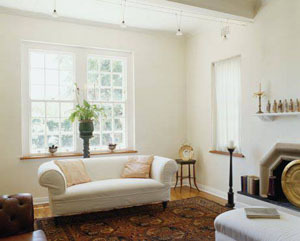 The light remains the strongest manifestation of energy to date, and Feng Shui emphasizes this energy. The quality of your home energy is greatly affected by the lightning the house with both natural and artificial sources. The g ood air ventilation and sufficient lighting are the very essence of feng shui and for any space, home or business, airflow and lighting should be given the top feng shui priorities. You should know that your body reacts to the environment and depending on the energy balance of the surroundings; Your body can be nourished with or drained by the energy. That’s why you should improve the quality of lights at home or office and understand the influence of lighting on your health. Light can be termed as the medicine of the future, and it is your number one nutrient. You should make it a habit to consider how much energy you enjoyed during the day by exposure to good quality outdoor light and maintain the quantity and quality of your indoor lighting. Dr. John Ott, who is known for his works on light, has coined the term Malillumination to describe how the fluorescent lights negatively affect human behavior, his learning ability and overall health conditions. You might be surprised to know that federal laws in Germany legally ban the use of cool white fluorescent lights. If you spare a few moments and explore the research on this topic, you will understand the health benefits of full-spectrum lighting and the harmful effects of fluorescent lighting. Colors are nothing but a particular spectrum of light and knowing that have you ever realized that how many colors you actually see in your space or living room? Yes, of course, you don’t need to create a complete rainbow in your house, but it is the reality that most of our houses are lacking pure colors and thus quality light energy. The little kids can be considered as the happiest humans out there and their energy is constantly recharged by a lot of colors. The abundance exposure to the vibrant frequencies of light makes the children creative, vibrant and happy. Now it’s your turn to realize the importance of light in your home and bring in better source of light energy along with color and beauty to your house. You can go to the IKEA website to learn how to light your home and the benefits of selecting at least three sources of light in any room. The beauty and good energy are all around you; you have to be just more receptive by allowing opened windows to welcome the sunlight. You will lose nothing and gain everything by welcoming beauty and good energy in your life.